HALO Bassinest Glide Sleeper Giveaway Event | More Crunchy Beach Mama! With so many baby products on the market today, is it any wonder expecting moms and dads feel overwhelmed. When it comes to safe infant sleep, HALO has the answer for parents. HALO has introduced the new HALO® Bassinest® glide sleeper and at $159.99, it is a great way to get a premium product at a more budget friendly price. Now available on amazon.com, the HALO Bassinest glide sleeper allows your baby to sleep as close as you like, while still safely in his or her separate sleep area as recommended by the American Academy of Pediatrics. 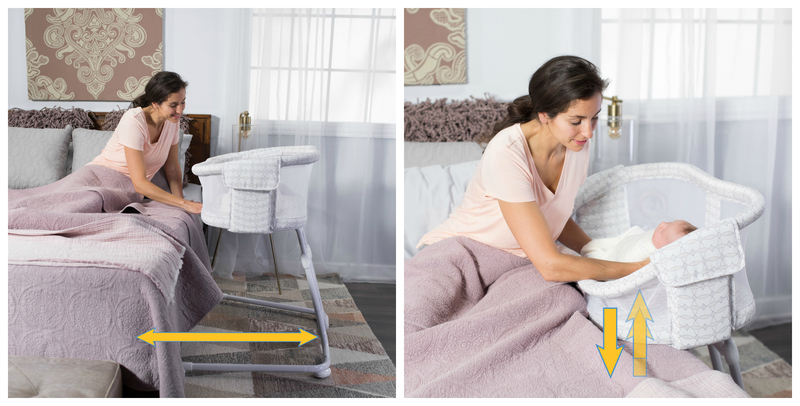 The Bassinest glides easily across any surface, including carpet, allowing for easy access to baby at night. HALO has a singular mission: to help make safe sleep easier for families. Pair the HALO® SleepSack® 2-piece platinum collection gift set with the new HALO Bassinest glide sleeper and new parents will have everything they need to keep baby close, comfortable and safe at night. Purchase the HALO Bassinest glide sleeper on amazon.com. Learn more about HALO and don’t forget to follow them on Instagram, Facebook and Pinterest! 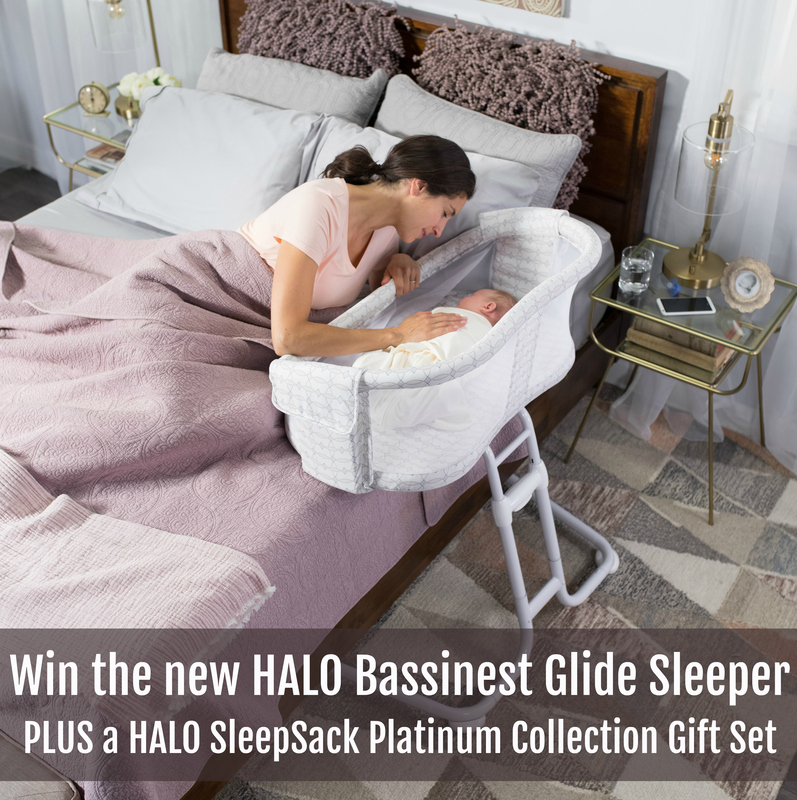 I’ve teamed up with HALO and a few other great parenting bloggers to offer you the chance to WIN your own HALO Bassinest glide sleeper plus HALO SleepSack 2-piece platinum collection gift set! This giveaway will end on January 22nd, 2018 at 11:59pm EST. Enter via the Giveaway Tools entry form below. Good luck! Love the Halo Sleep sacks! Another product I’d love to own is the HALO SnoozyPod™ vibrating, all-in-one bedtime soother. I’d like the sleepsack wearable blanket.